What has Red Engineering achieved in the nuclear sector over the past 2 years? We’ve moved from being almost 100% reliant on the offshore Oil and Gas Sector to the point where, in 2018, over 60% of our turnover came from nuclear decommissioning projects – a much more balanced portfolio and vital for the long-term success of our business. We have now developed successful working relationships with teams at both Sellafield and Dounreay plus key members of their existing supply chain. Recent projects include the fast track development of Post-operational Clean Out (POCO) tooling and the application of robot technology in hazardous working environments. In addition, RED has also won two LINC challenges. LINC stands for "Liaise, Innovate, Network, Collaborate" and is a scheme set up to encourage small and medium enterprises (SMEs) at a local and national level to collaborate with each other to deliver innovative solutions that support the Dounreay or Sellafield decommissioning programmes. We're now supplying equipment directly to Sellafield and have recently been added to the Sellafield Quality Approved Supplier List as a Quality Grade 2 supplier. What factors have contributed to that success? From the outset, it was clear that the skills and technology we had developed in the sub-sea sector should be transferable to the nuclear world. Both industries need complex operations to be performed remotely. 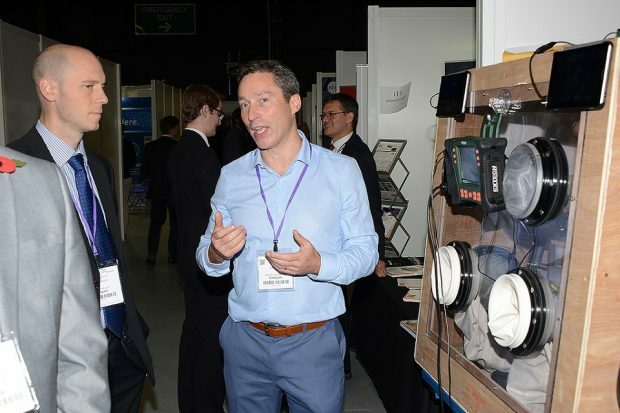 2016 was our first visit to the NDA Group's annual Supply Chain Event, where we exhibited in the Innovation Zone and began to understand how to enter the nuclear decommissioning sector. The contacts we've made at this event over the past 3 years have helped us go on to win contracts. However, I think what has really helped us break in to this industry has been our ‘can-do’ culture and pragmatic approach to solving engineering challenges which allows us to move forward at pace. Importantly, Sellafield and others have also recognised the value that innovative SMEs can add and have been active in giving us the opportunity to showcase our talents. What are the most valuable lessons from the last 2 years? One key thing we learnt early on was that not all the challenges in the nuclear industry are related to the atom. We’ve found it invaluable, where possible, to engage directly with end users so that we can gain a full understanding of what they are trying to achieve and their constraints. We joined brokering events for the Integrated Innovation in Nuclear Decommissioning which was a Small Business Research Initiative (SBRI) competition. We then formed a consortia which was led by Createc and were successful in receiving funding to develop our concept further. Last, but not least, we have learnt that you need a healthy combination of patience and persistence and the confidence to challenge the status quo. What have you found to be the biggest difference between the nuclear sector and offshore engineering? The commercial arrangements and, more specifically, the use of very rigid framework agreements – one of our biggest challenges has been developing a route to contract. It is also fair to say that rate of progress in offshore engineering is generally faster although this is something we are currently trying to address in partnership with our nuclear clients. The government’s Industrial Strategy is founded on the power of seeding an idea in a business environment to create a skilled, innovative, and geographically balanced economy. Red Engineering's success reflects the UK's innovative economy: they had the skills plus the ideas and the NDA Group, along with Innovate UK, provided the business environment to explore how these could be harnessed in a new sector. If your company is interested in nuclear sector innovation, find out more about the government's programme to develop safer and more productive technologies for working in extreme environments.